Rediscover your favourite hits from Gloria Gaynor, Sister Sledge and Rose Royce with this 70s Disco compilation record from Intempo. Including Young Hearts Run Free, Heaven Must Be Missing an Angel and I Love the Nightlife, the album includes exclusive new recordings and live renditions of old favourites featuring original band members. Remastered for vinyl for a truly authentic audio experience, the LP would make an ideal gift and comes in a beautifully designed sleeve to preserve its quality. 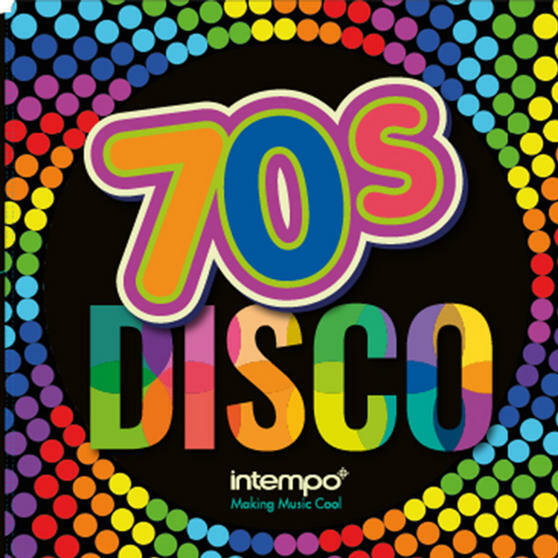 For original recordings 70s hits that you can boogie to, just add this 70s Disco album by Intempo to your vinyl collection. Remastered for vinyl with outstanding sound quality, you can enjoy listening to legendary old-school tracks on your turntable at home. This double sided record features 12 songs including I Will Survive, Car Wash, Love Machine, Disco Inferno, and Boogie Nights. 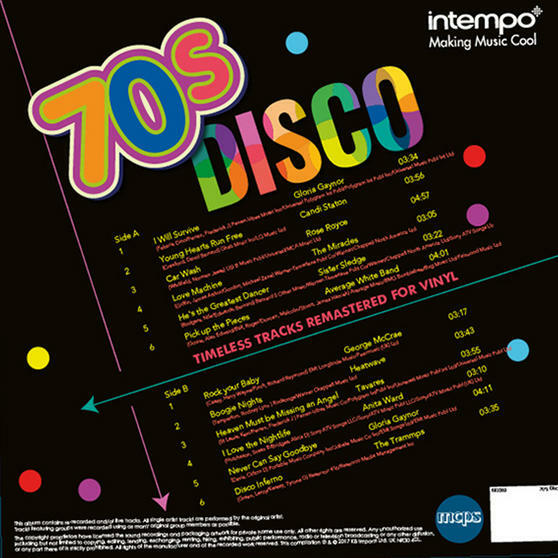 With unique renditions of many timeless tracks, it will make an ideal gift to introduce someone vinyl or help expand their collection.